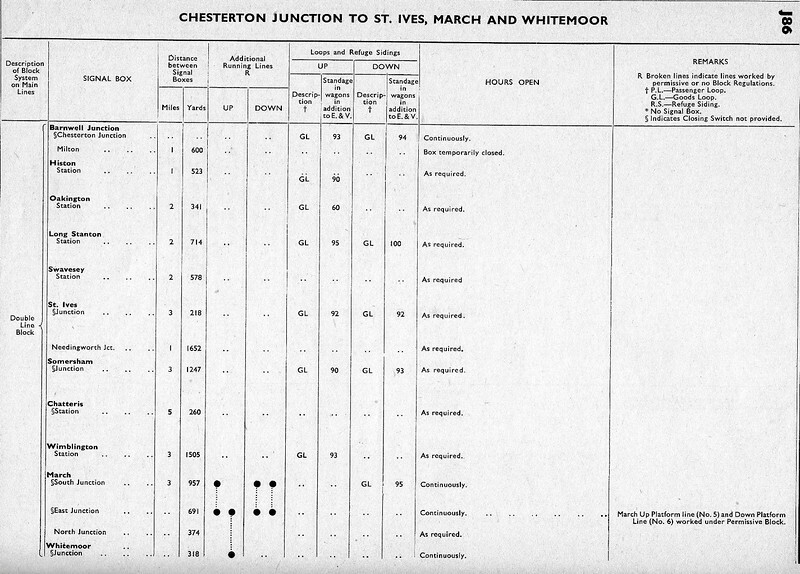 Extract from British Railways Freight Working Timetable. Nov 1959- June 1960. This shows the distance between signal boxes and capacity of the various goods loops. Of interest is the box at Milton which controlled the sidings at the American/WD army camp, located about where the Cambridge Science Park is now. The box closed in September 1959.